Here at Joseph Toyota, we strive to be the premier Toyota dealership Cincinnati has to offer by placing the focus solely on your satisfaction. You are our top priority, and providing an experience that meets and exceeds your expectations is our primary concern. We know you’ve heard the same lip-service promises before; read the same cookie-cutter customer satisfaction spiel time and again. Trust us when we tell you, though, that this is not the same spiel, and we never used the word “customer” in reference to satisfaction. We DO aim to satisfy our customers who are purchasing, have already purchased, or are servicing their vehicles, but we refuse to narrow the scope of satisfaction limiting it to only our customers. That means you get the same treatment no matter if you are a previous paying customer test driving the new Toyota Supra or a curious bystander interested in learning about the difference between Prius and Prius Plug-In. We believe that our behavior and our service to the members of the community is a direct reflection of who we are as a member of the Toyota family as well as a reflection on ourselves as a company dealership. We know that purchasing a vehicle is often intimidating and our knowledgeable staff is here to ease that experience softening the burden of worry. From the moment you step on our lot or contact a dealership staff member, the rule of priority satisfaction applies to you. We promise complete satisfaction. It’s a promise that exists before, during, and after our time together. For us, nothing is more important than you, our valued customer. And, we will prove it to you by guiding you with respect and integrity and assisting you without pressure or hassle. Since the Toyota dealership’s founding in 1980, the staff and management of Joseph Toyota have followed some basic principles for business and life: people first and profit second, word of mouth spreads faster than any advertisement money can buy, and integrity builds a business that will last several lifetimes. These core principles, having helped steady and guide Joseph Toyota through over 38 years of success, were chosen and retained in accordance to their correlation with the Toyota Motor Corporation’s own “Toyota Way” philosophy. As the second largest automotive manufacturer in the world, Toyota has not only helped shape and evolve vehicle production standards worldwide, but they have also consistently maintained the top spots in consumer reports’ vehicle reliability ratings. For the past 6 years, Toyota and its luxury offshoot brand Lexus have traded top spots in the non-profits year-end list ranking the least and most reliable vehicle brands. And reliable transportation is sorely needed for drivers in the Cincinnati expanse. Given the scope of our seemingly borderless commuter community, residents tend to consider reliable transportation a prerequisite for moving to the Midwest. The I-275 outer loop, which spans a distance of 85 miles crossing over three separate state borders, provides a persuasive enough argument on its own for continued proper vehicle maintenance, up-to-date warranties and AAA membership (all available standard offers with your vehicle purchase at Joseph Toyota). We think it’s pretty safe to assume that purchasing a dependable vehicle with a better than average reliability rating, a sentiment that holds true for most car owners, is still a priority that actually might even be compounded by living in the Greater Cincinnati Tri-State Area. And when your priority in purchasing a vehicle references dependability and reliability rankings, then Toyota is the only brand you need to consider. Joseph Toyota of Cincinnati really is your one-stop shop for purchasing new, used, and certified pre-owned Toyota vehicles. When you work with the financing center at the Joseph Toyota dealership, Cincinnati residents get the benefit of our network of competing lenders which often means loans provided at lower rates than you might find during pre-approval at your own financial institution. Our in-house Finance Center will be more than happy to assist you in applying for automotive financing no matter your credit background. That means yes, first-time buyers are welcome! We will not only guide you through the process, but our financing team will also assist you in choosing the right vehicle, setting you up to build future credit for later-on down the road. Our hands-on approach is detrimental in putting many buyers in the driving seat of their first purchased vehicle and subsequently the next one down the line. We also honor first responders for their service and commitment by offering a special purchase pricing program for responders and their immediate family members. 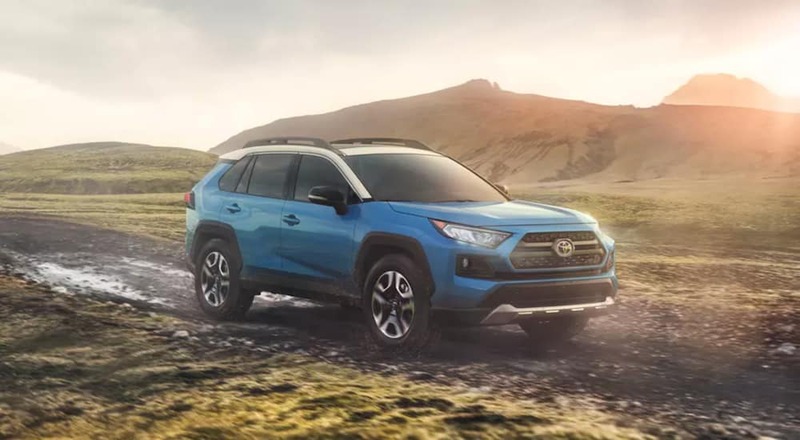 You sign the dotted line, shake hands, and drive off into the sunset never to be seen again at a Toyota dealership (Cincinnati car buyers staying away at least until your next Toyota vehicle). Sorry, you can’t get rid of us that easily, and nor would you want to considering the high valued vehicle maintenance we offer at our on-site service center. While Toyota vehicles have a reputation for reliability, every vehicle needs routine maintenance to keep running in top shape. At our Dealership service center everything is tailored to you and your vehicle. You will find factory trained technicians performing all services like oil changes, brake services, and transmission services. All repairs are made with genuine OEM parts from our parts department that are designed specifically for your Toyota. Peace of mind comes standard or so the slogan goes. As part of the Toyota family, your exceptional ownership experience starts with ToyotaCare, a no cost maintenance plan. The ToyotaCare plan covers normal factory scheduled maintenance for 2 years or 25,000 miles, whichever comes first. 24-hour roadside assistance is also included for 2 years and unlimited miles. With a zero dollar deductible, new vehicles are also eligible for the Joseph Toyota Lifetime Powertrain Program. The Powertrain Program offers the kind of peace-of-mind you can only get from knowing that any major breakdown is covered on your new or used vehicle purchase. In addition to the manufacturer’s warranty, you’ll also have Joseph Toyota of Cincinnati protecting your vehicle’s powertrain for the entire time in which you own the vehicle. That means should the unfortunate happen to components of your vehicle’s drive axle, transmission/transfer case and engine, you won’t experience any out of pocket expenses to have it fixed provided you have maintained your vehicle as specified within the program guidelines. 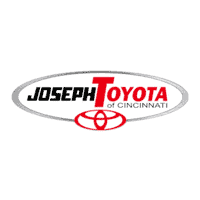 At Joseph Toyota of Cincinnati, we ensure the purchasing process is as simple as possible. We will always present an upfront market value price right away. No worrying about a lengthy negotiation process. We are deeply committed to delivering you a dealership experience that is easy, true, and clear. There will never be any pressure as our professional sales staff assists you in finding the vehicle you want. You will pay the exact amount that you are quoted, and we will never surprise you with any hidden fees. And finally, all questions will be answered in a straightforward manner with no decisions final until you are sufficiently comfortable with understanding the answer. So come on down to Joseph Toyota of Cincinnati today and find out for yourself how easy, true, and clear it is to purchase a vehicle from the areas premier Toyota dealership. Cincinnati locals and residents of the greater Tri-State Area have great things to say about their experiences, and we hope you will soon be one of them.